Never stop speaking your mind! I have been following Alex online for over 10 years. This man has a right to his voice so I'm going to use mine by supporting him. CANCEL YOUR CABLE. CANCEL YOUR SOCIAL MEDIA. Fight back! I've never listened to Alex Jones and find most of his conspiracy theories wacky, but I purchased this app to register my protest again this coordinated and biased censorship of his point of view by Big Tech. Why isn't Maxine Waters banned on these same platforms for openly calling for the harassment of people she disagrees with politically?? Because the standard of 'hate speech' can only be met by those on the ideological right as far as ultra-left Silicon Valley is concerned. It's time to regulate this cabal of companies as the public utilities they are, or our freedom to express unpopular opinions in the public forum that is social media will be gone in a generation. Suppression of speech is a one way street to tyranny. Thanks to platforms banning Jones, I'm now listening to him. App is working fine. I just bought this app and will probably never use it. I hate when people try to silence others. The purpose of free speech is to be able to say what other people don’t want to hear. That’s what makes us free. I would have never paid any attention to Alex Jones until he was banned. If you review this App, you are the resistance! No more chemicals in the water that turn the frigging frogs gay! I’ve been watching info wars for nearly a decade. Everything Alex has said is verifiable. People just don’t like his seriously comedic delivery. All American company fighting for our rights. To ban Alex Jones and infowars is anti American, fascist, communist, signs of a dictatorship and completely anti-American. Unacceptable for the liberal democrat fascist society to block them. Free speech=Music to my ears. 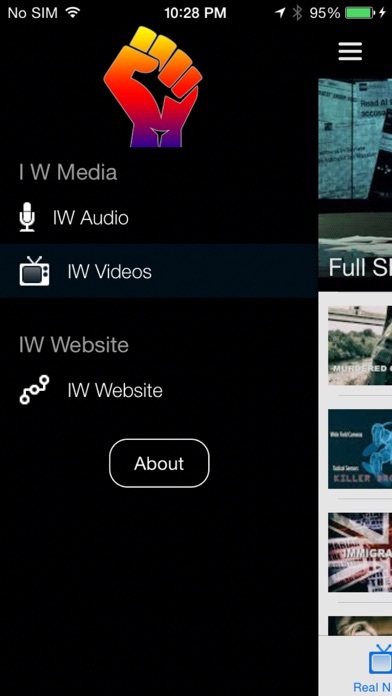 Get this app if you believe in FREE speech! 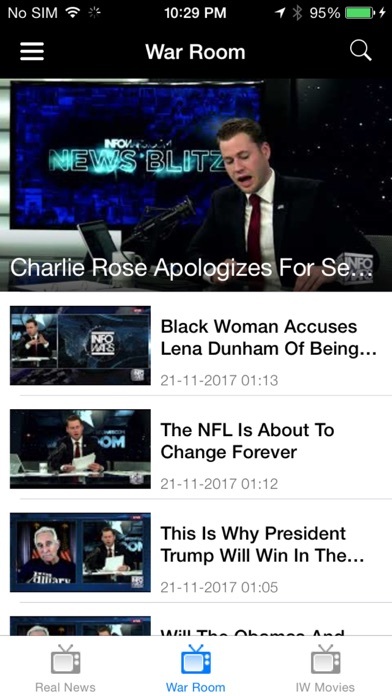 Get this app if you believe in the truth and our RIGHT to have free speech. The left is trying so hard to take this away. We won’t let them! I have always thought Alex Jones as a clown, but even a clown has freedom of speech guaranteed by the Constitution. I buy this app in support of his rights and will give him a second look. To ban him and delete his contents is fascism and the companies who decided to exercise their editorial rights and to walk down this slippery slope are essentially declaring themselves as publishers and not platforms. Lawsuits are coming, since they have just opened a whole can of worms. There will be a very small number of top people. America is living through 1984. I worry more about content than I do about technology, so I’m probably a minority here. My review focuses more on the content of the app rather than the manner in which it is relayed. Sure, there can be a glitch or two across devices, but with so many different ones out there, it’s difficult to get one perfect fit. You can’t stop the signal. Personally, I think Alex Jones is out there but I will defend free speech until the day I die. 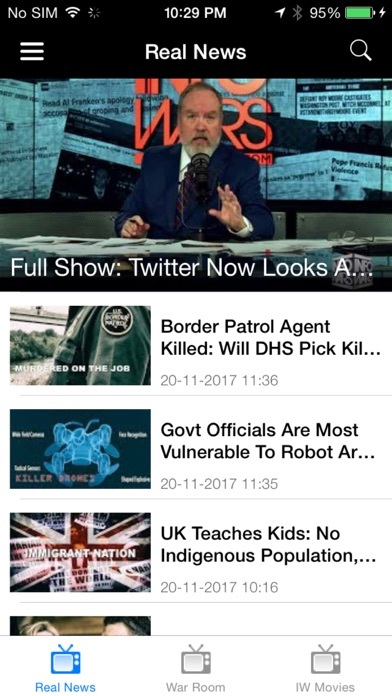 I like the older B & O Technologies APP for Alex Jones Show...the one before this new one. 1. I liked the old APP automatically starting the auto when you opened it. I don’t like having to press PLAY to get it to start playing. 2. I liked seeing the date and hour of the show scrolling across. 3. 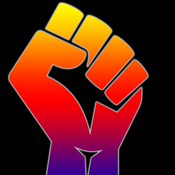 I would rather see Alex’s face than the bold-colored fist. 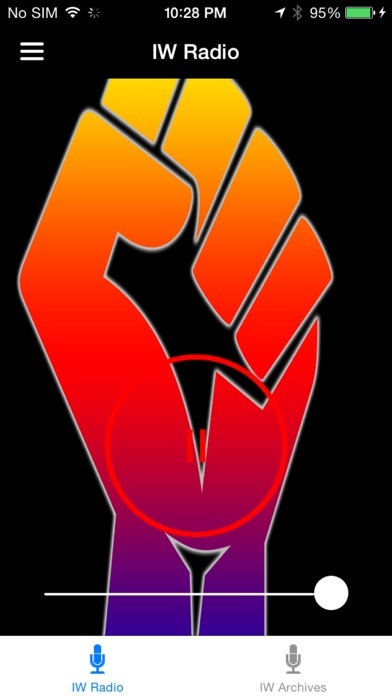 I think a radio antenna would be a better symbol than a fist for InfoWars. It’s not about fists. That’s the whole point of InfoWars...no violence. —-I am thankful for this APP however and use it everyday.